Portal, localhost, webadapter and webapp builder (url of portal). 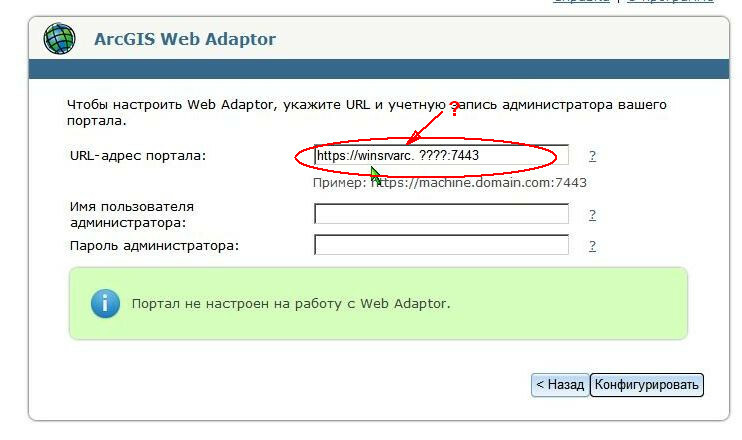 How to specify the url of the portal which set on localhost. strictly speaking. question in the subject header. Details: we get a demo license for the server and portal, We test these products. in all instructions, and, as an example, written address "example: https://machine.domain.com:7443"
if use a LOCAL PC with installed on it as of arcgis server and a website on IIS ? 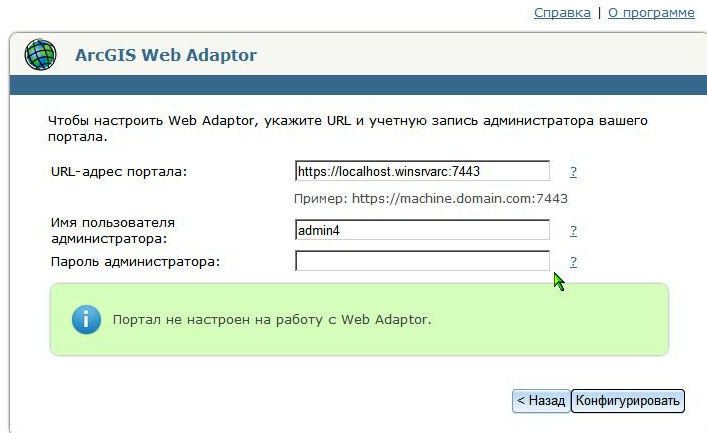 "to configure the portal requires full domain name in the url"
message is displayed absence of the configured web-adapter, but if log in directly “my resources” or “my organization” then login executed. Portal working, resources, applications and other added succesfully. how to specify same correctly address of portal which installed on local PC ? Please note that the GeoNet Resource Hub space is for discussions about the workings of GeoNet, not specific applications. I'll move this discussion to Portal for ArcGIS, but you can also move it to a more appropriate place if necessary. These are the following steps I followed to install the Portal for ArcGIS 10.3 in Windows 8 workgroup. I think the same goes with Windows 7 / 8.1. 1) Defined a Primary DNS suffix to the computer and restart the system. Control Panel > System > Computer Name, domain and workgroup settings. Click "Change Settings". On "Computer Name" tab, click Change. Define the DNS suffix name for this computer. deleted "C:\Arcgisportal" and "C:\Program Files\ArcGIS\Portal" directories manually. 3) Ran "ccleaner" utility to get rid of the dirty files and registry issues. 5) Installed Portal for ArcGIS. After the installation was finished, I was greeted with the Initial Administrator Account page. 6) Use the full computer name to configure portal for ArcGIS with web-adaptor.